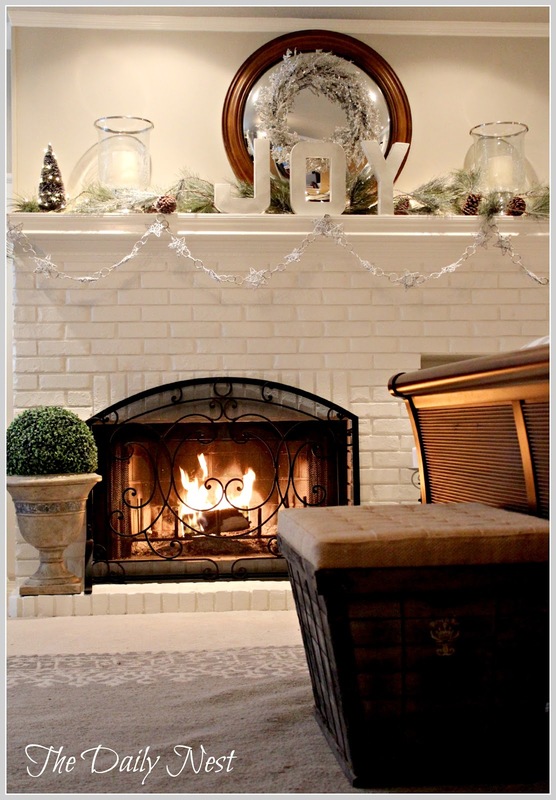 Over the last couple of days I've been working on my mantel in the master bedroom. 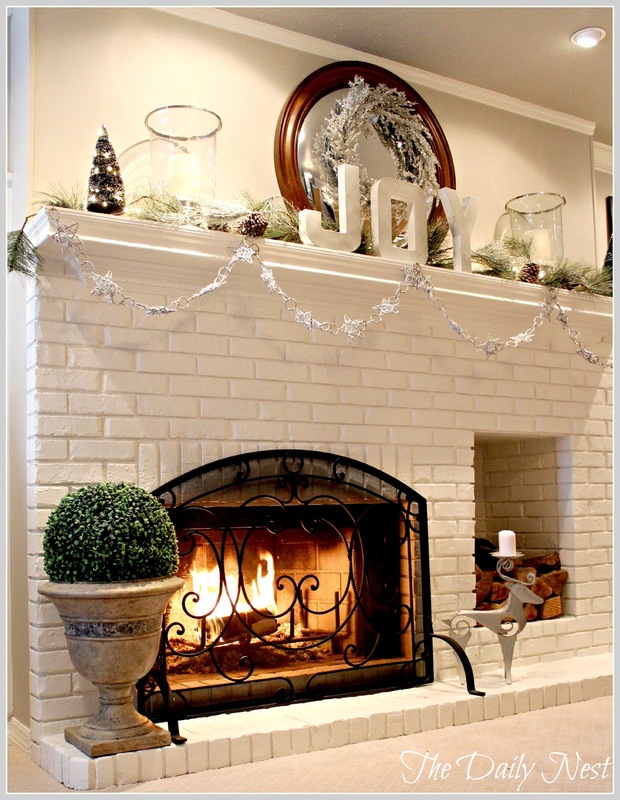 Since I've lightened up the room with the Revere Pewter and White Dove trim, I wanted to keep the mantel fairly neutral. 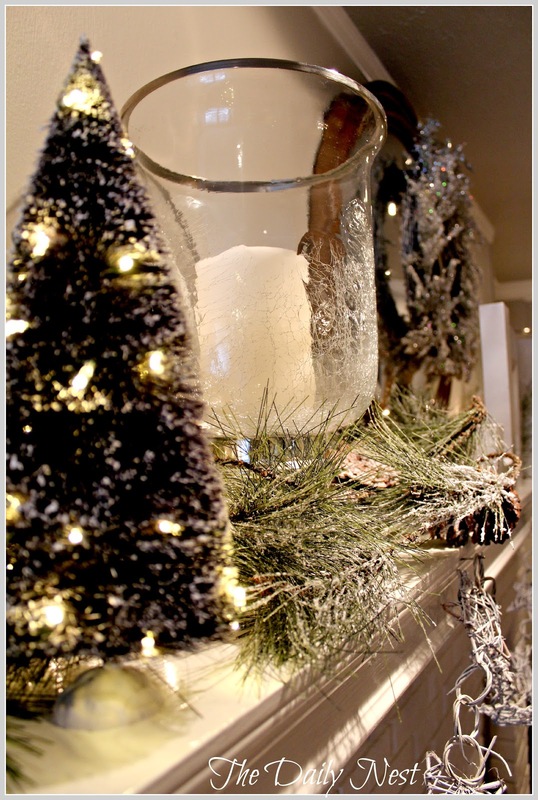 Using flocked pine garland, white, and silver. Keeping the bedroom calm and relaxing. 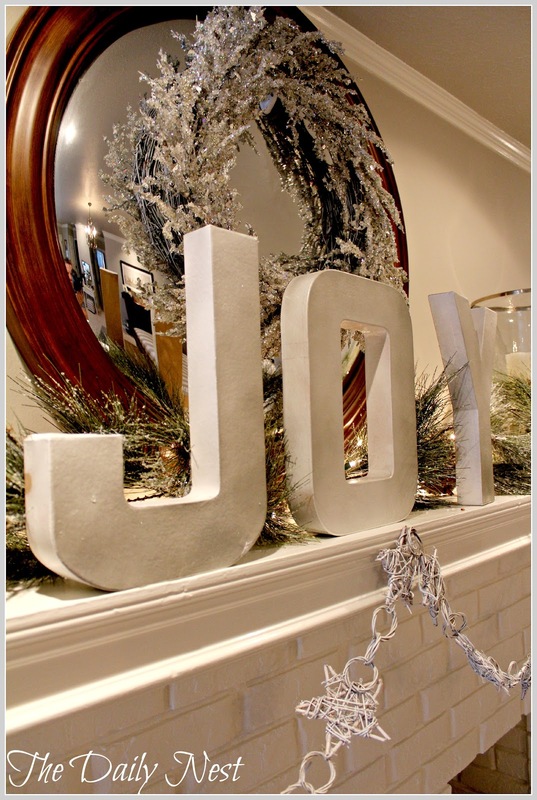 I picked up the JOY letters from Joann's Fabrics and gave them a spray with white first, then a light spray of glittery silver. I love the look and think they turned out great. 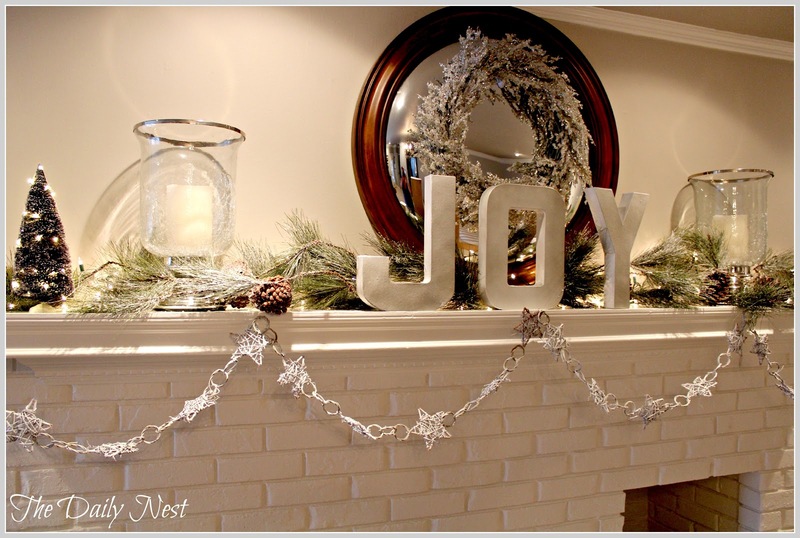 I also sprayed this pretty little grapevine star garland, also from Joann's white. I left some of the natural brown color showing through so it wouldn't be a stark white. The little trees were some that I had when years ago I would put out my little village of houses. The kids always loved when I did that! Although I'm sure they will say they don't remember that! Wink! Wink! 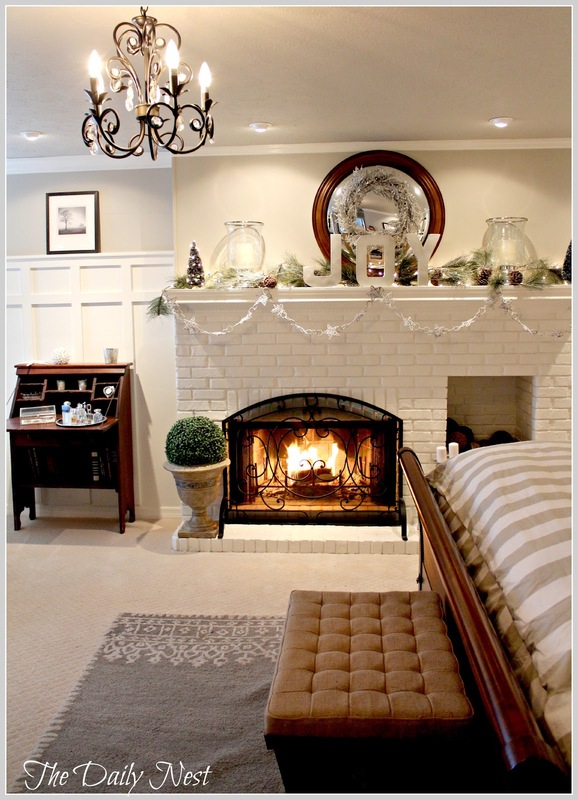 We love our fireplace in the bedroom and anytime we've ever thought about moving we always say, "How can we replace that bedroom?" 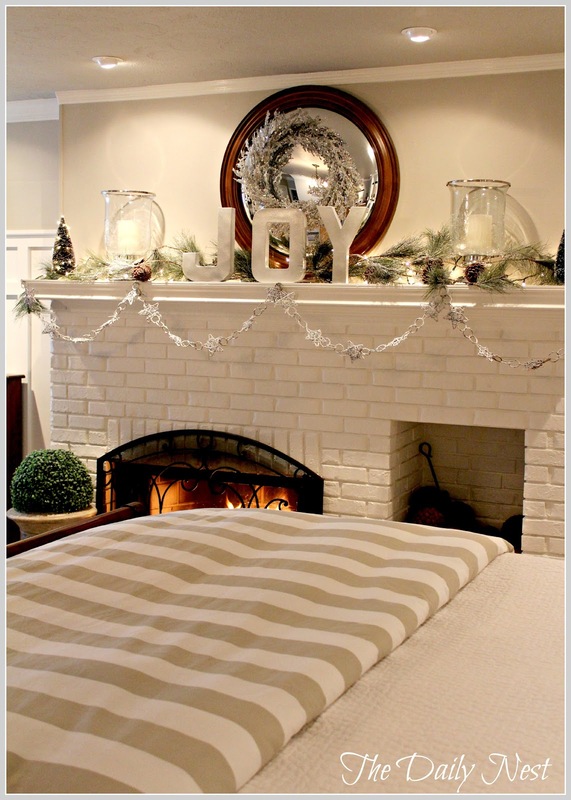 Thanks for stopping by today and taking a look around my Christmas bedroom!